The fashion industry is no stranger to trailblazing new designs, new concepts, and surprising looks. Deconstructed denim, for example, is just one of the ways the fashion industry made us do a double take with their $1,470 pair of Vetements X Levi’s jeans. But apart from outrageous and adventurous denim jeans, what else does the future of the fashion industry hold? 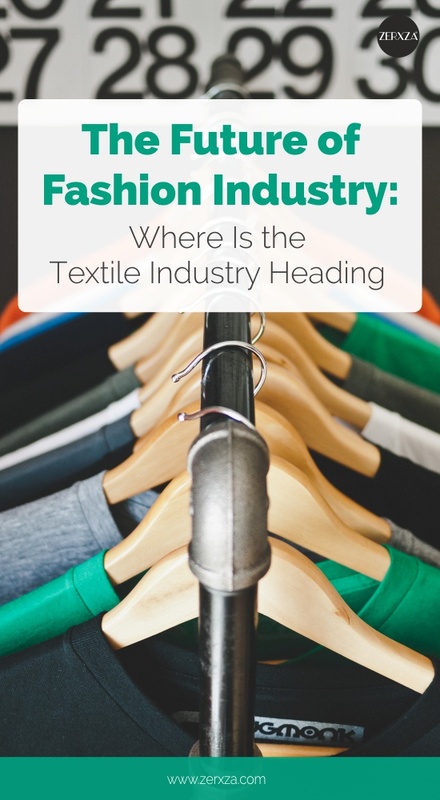 Here’s an inside look at the textile industry and what you can expect in the coming years. Keep reading to see how it will change your wardrobe. For decades, the textile machines used in the industry had to be run by skilled employees. And even though the same basic machines and processes are being used today, they’ve gotten an upgrade. The people running the equipment are being substituted with technologically-advanced machines – ones that are computerized and programmed to make textile materials. Here are just a few of the changes happening. Now, instead of a machine working with long strips of material, before looping and sewing them together, machines can now create larger sections of knitted materials, all at once. Look out for laser designs on everything from tops to bottoms. Laser printing can create even more precise designs faster. This used to be a task for factory workers, but now the pleating can be done entirely by a programmed machine. Although 3D printers are definitely in vogue in haute culture, they may be making their way into brands like Nike, too. Why? Because 3D printing allows companies to create softer clothing out of more resilient fibers. This gives consumers a comfortable, yet durable garment or shoe. Nanotechnology is used to create pieces that are self-cleaning, fire-repellent and water-repellent. These might not be pieces that are immediately relevant to you, however, it’s still an important shift in the fashion industry. With nanotechnology, companies can make pieces using lower energy, which may be more sustainable for the environment. You may already be familiar with smart textiles if you have a water-repellent jacket. However, this is just the beginning. According to the technology consultant group, Cientifica, the value of smart textile industries may be as high as $130 billion by the year 2025. What sort of smart textiles should we expect to see over the next 10 years? The first type of smart textile is when a sensor is externally attached to an item. Google and Levi’s have already collaborated on this type of smart technology. Together, they produced a Jacquard Smart Jacket that can help you remember to take your phone with you. The feature in Levi’s smart jacket, called “Always Together”, sends an automatic alert if you move too far away from your phone. And if you forget your phone charger, no worries. Companies, like Baubax, have come up with a phone-charging jacket to keep you connected no matter where you are – as long as you have your jacket, that is. Then, there are items where a sensor is actually embedded into the garment. Sportswear is already dipping into this type of textile technology. Just look at the brand, Athos. For serious athletes, Athos is a powerful tool to reach even greater success with fitness. This wearable fitness gear uses many sensors to track the electrical activity of muscle groups. This information helps athletes gauge their effort, improve their form, and improve their workouts. Athos sportswear tracks data that you can observe in real time when you connect your Athos wear to your smartphone. The footwear brand, Digitsoles, has come up with shoes that will lace themselves up on their own, and also auto heat when necessary – if that’s what you’re into. But if sportswear isn’t your thing, you can also find smart jewelry. Misfit Wearables and Swarovski teamed up to create a medical tracking device that collects data about your fitness and sleep activity. And if you tend to rely on Google Maps, or other navigation apps, to steer you in the right direction, you may be interested in another shoe brand, called Lechal. These shoes guide you, based on your navigation route, by applying subtle vibrations to your feet to help you reach your destination. Last, but certainly not least, you can find garments that are actually the sensor itself. Instead of the sensor being attached or embedded in the clothing item, the sensor and the garments are one and the same thing. One example of this is T-shirts that change color. Take Delsol, as an example. Thanks to their Spectrachrome® technology, clothing can actually change its color when it comes in contact with sunlight. This allows you to have one shirt with multiple designs, depending on whether you’re out in the sunshine or not. Delsol designs pieces that have hidden colors embedded in them, but which are invisible to the human eye. When molecules expand thanks to the sun exposure, these invisible colors become visible and voila, you have a new design on your shirt, or different colored shirt altogether. Even on a cloudy day, the molecules in the fabric will react to the sunlight and change, producing a vibrant color. Finally, you can now wear anti-inflammatory pajamas. Thanks to something called “bio-ceramic print”, which interacts with body heat, the item produces far infrared radiation which can help lower inflammation, improve circulation, and support faster recovery times. The term “smarty pants” may actually be very true in the future of the textile industry. But by the looks of things, it seems that the future of fashion is already here!